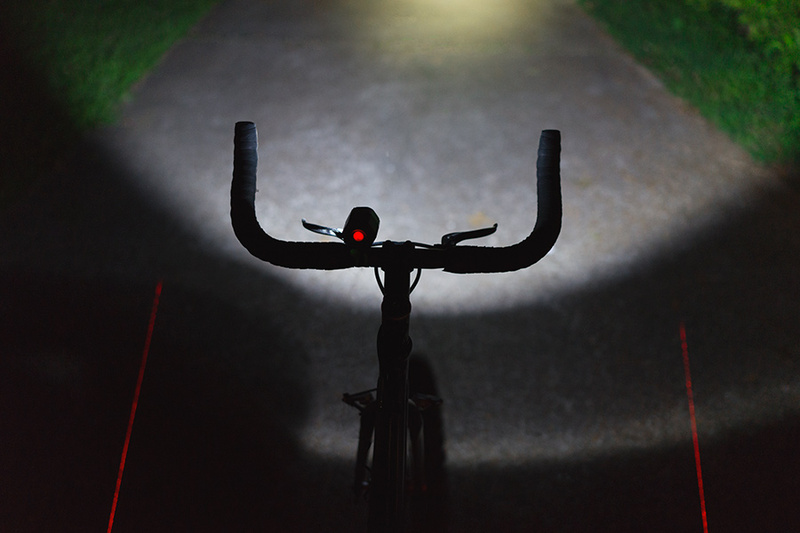 10W LED Bicycle Headlight and Headlamp: Shown Installed On Bicycle. 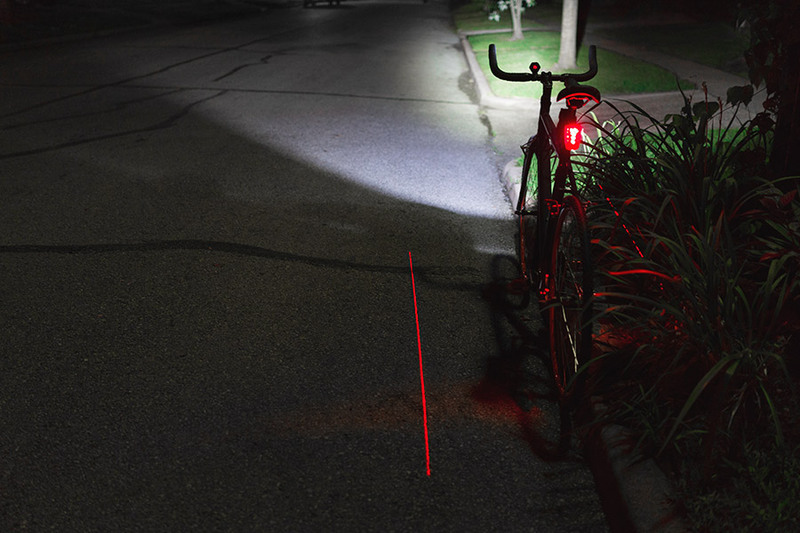 Also Shown With LED Tail Light With Laser Lines On Ground (Sold Separately). 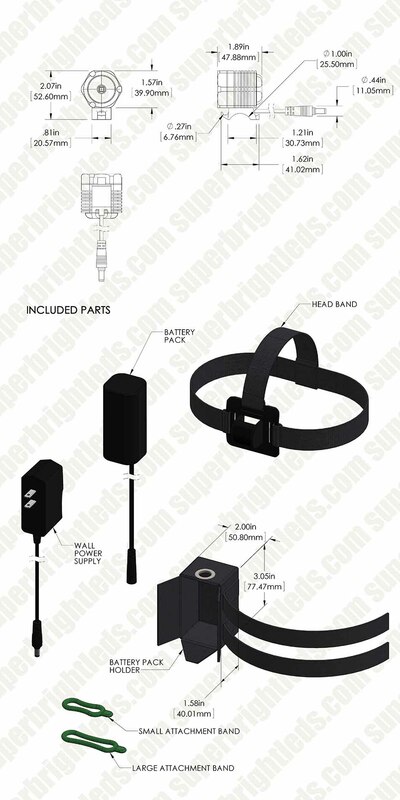 This rechargeable LED light can be used as a bicycle headlight or an LED headlamp. 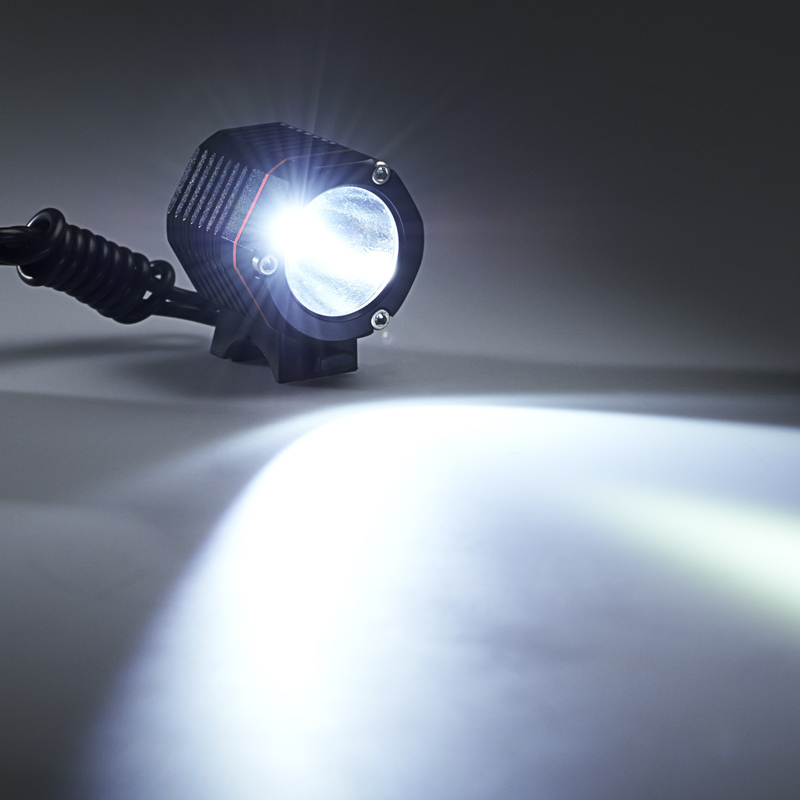 Using a powerful LED, the light emits up to 560 lumens of white illumination and has 4 modes—high, medium, low, and strobe. Its rechargeable lithium-ion battery (4400mAh) lasts 3 hours on full brightness. 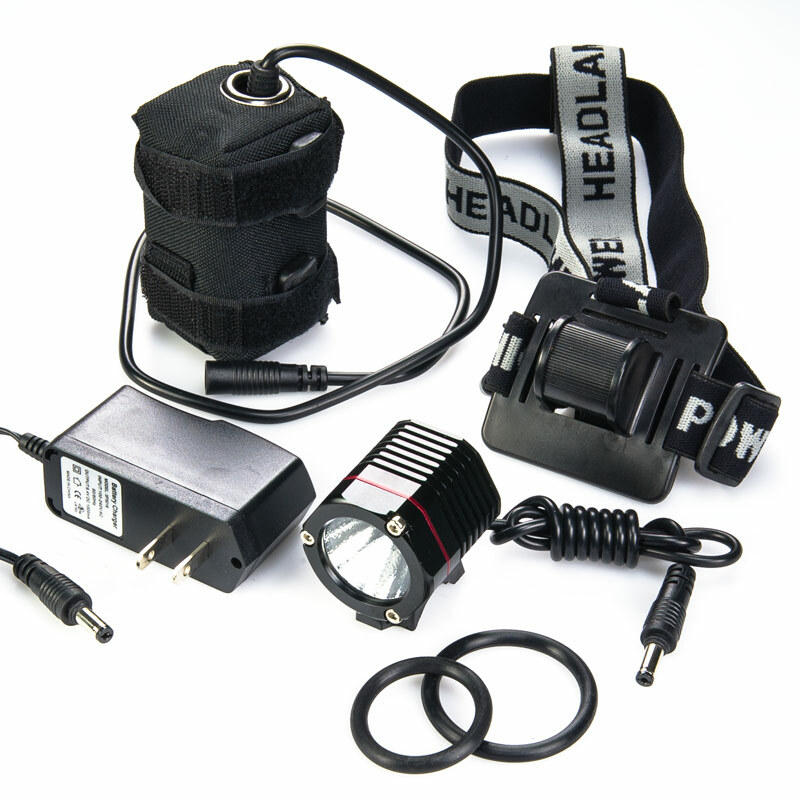 A battery charger, headlamp strap, manual, and 2 o-rings are included for mounting to various sized bicycle frames. 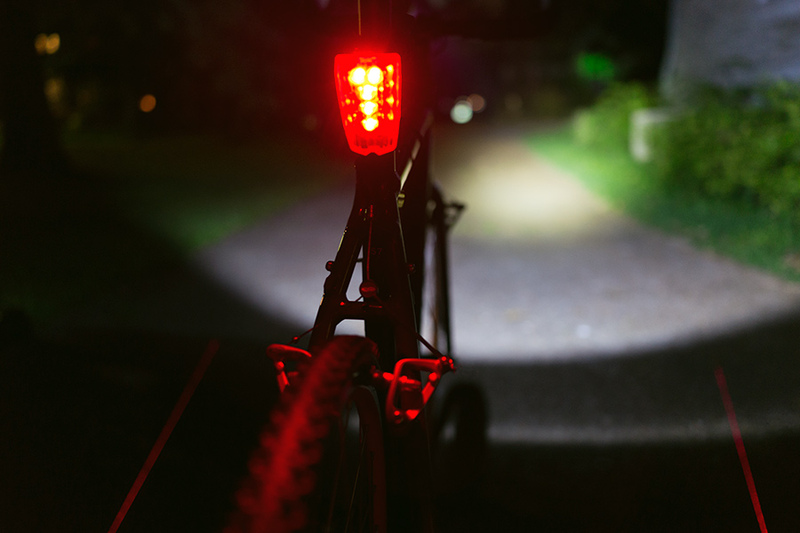 I have owned over 25 bike lights and this is the best one yet. 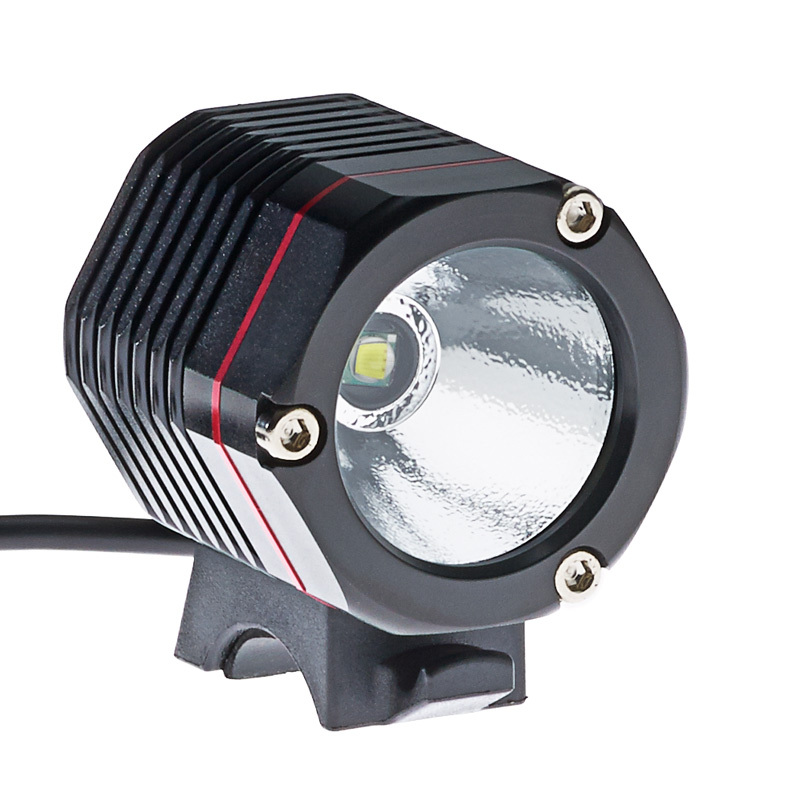 I wanted more lumens and the other bike lights similar to this one were a minimum of $300. This light is so bright I have to switch to the lowest setting to avoid blinding other cyclists. I get about 16 to 18 hours on each charge, but it has never been fully discharged. Most of the time I am on the lowest setting and that is more than enough to see the bike path in total darkness. I plan to buy more as Christmas gifts this year. This light is very bright and well focused but the mounting system needs work. It's easy to get on and off but with the rubber band mount it's hard to make it tight enough so it won't move. Also, if your handlebars are not straight across (perpendicular to the frame) it's hard to aim it straight ahead. My handlebars angle back slightly from where they attach to the bike and I had to shim one side to aim it straight ahead. Even so, it’s a lot of light for the money. Brite and durable. 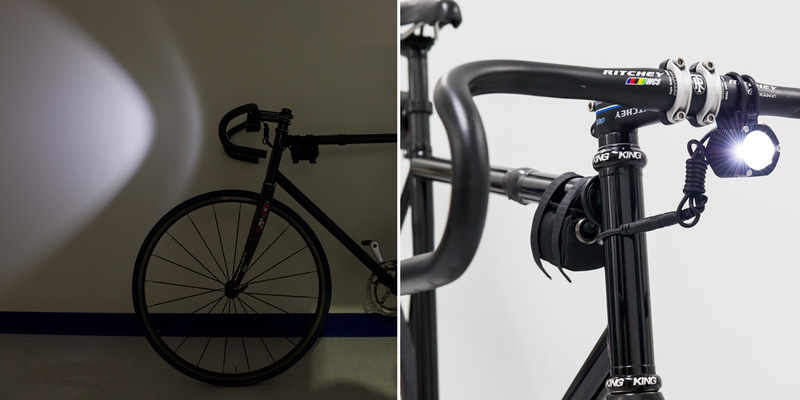 For the price is probably the best bike light. After a year battery quit sent it back and they sent me a new replacement really happy whit customer service. I live in Alaska & ride a recumbent trike year round (the dogs gotta run, regardless of weather). Winters are long, dark and fierce. Days are short. Using a regular headlight just didn't cut it: I found it disorienting in bad weather- fog, mist, rain, snow. Just not enough light. Plus, gotta watch for fall/spring bears! This light did the trick: great field of vision, incredible brightness, long battery life, easy to pack. Good view into the woods on the trails, so I'm safer. Ordered a 2nd light for our son, avid year round Alaskan who only bikes, no car (biked Seattle-San Diego); he loves it. Two comments: found my head strap was too tight; most headgear won't go small enough for me. We used our own. And after 9 months my switch has failed: stuck on medium, but still useable. Good news: under warranty! Still 5 star worthy, in my opinion. Will update this review later. Love their laser taillight, too... greatest taillight ever for safety! Great night lite for fishing !! 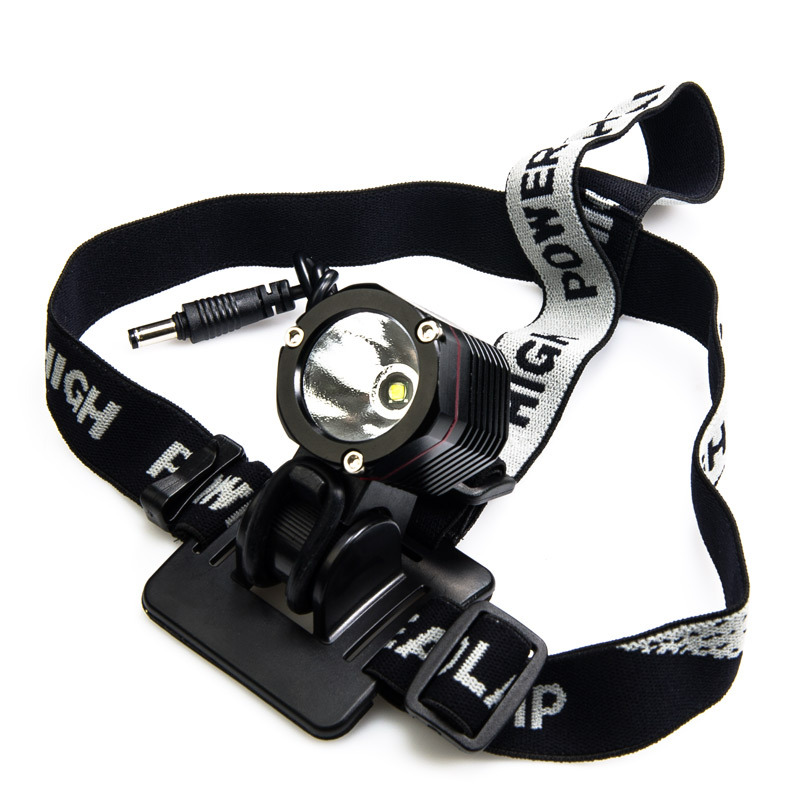 with any other kind of LED head lamp, Thank you Super Bright LEDS for GREAT products ! !